‘Mentorship’ has its origins in Greek mythology. Mentor was a friend of Odysseus. Odysseus placed Mentor in charge of his son Telemachus and his palace when he left for the Trojan War. Goddess Athena visited Telemachus disguised as Mentor to hide herself from the suitors of Telemachus’ mother Penelope. As Mentor, Athena encouraged Telemachus to stand up against the suitors and go out to find what happened to his father. Mentor’s relationship with Telemachus and Athena’s encouragement and practical advice for dealing with personal dilemmas, led to the name Mentor being adopted in English as a term to describe someone who imparts wisdom to and shares knowledge with a less experienced colleague. The word Mentor has come to stand for a ‘trusted advisor’ There is a subtle difference in mentorship as compared to a coach, who facilitates the discovery of solutions by the leader/entrepreneur, coaches himself/herself, or a consultant, who is supposed to provide solutions, or a trainer who imparts skills. Mentorship also assumes ‘subject matter expertise’ to be able to give advice based on one’s own experience. Hence the two words trusted and advisor acquire their significance. But what is more important here and goes way beyond ‘subject matter expertise’ or ‘business excellence’, is ‘trust’. Therefore it becomes extremely important to search for a ‘trusted’ mentor/coach with great care, with proper evaluation and selection criteria to choose well. Very often the search ends up with only historical evidence of functional experience. This may not be sufficient. The leader/entrepreneur should take sufficient time and care in the search, because once the relationship is established, he/she should accept and act on agreed upon action plans. If this is not done, it is loss of time and money for the leader/entrepreneur and loss of time for mentor / coach. It is a two way relationship with expression of mutual respect and gratitude being key on both sides. However, still if things don’t work out well, it is better to openly discuss and end the relationship rather than drag it painfully. A study of successful Indian CEOs gave some very good insights on the qualities required in a leader/entrepreneur in the journey from start up to growth, apart from ‘business excellence’. The entrepreneur has to show tremendous ‘Inner Strength’ to manage self and environment, to network with stakeholders within the organization and outside and to keep the team energized. Cricketing legend Yuvraj Singh, in his book ‘The test of my life’, in the chapter titled ‘The Battle for Confidence’, shares how a three member team of a physiotherapist and strength and conditioning coaches helped him get back into action after his fight with cancer. Therefore, it is important that the mentor/coach have the ability to stay grounded, calm and focused in order to be able to help the leader/entrepreneur handle tough situations well, as and when they arise. 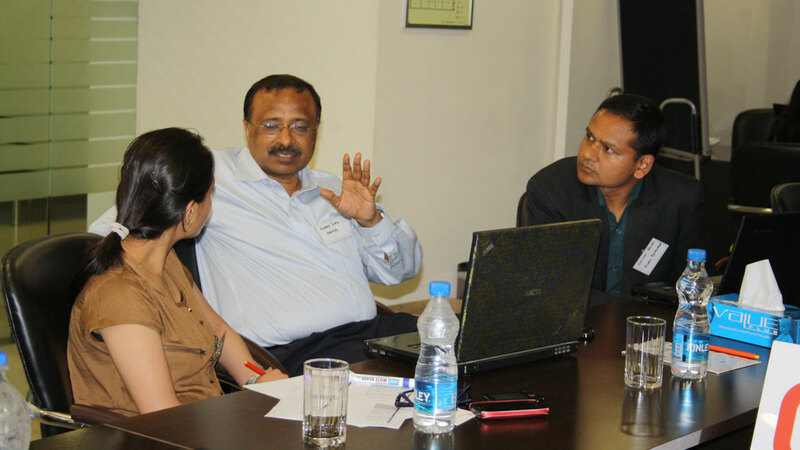 Most importantly, an unbiased viewpoint, detached approach, independent thinking, balanced mind and intellect and extreme confidentiality are the attributes that enable the mentor / coach to hand hold the mentee and to co-create and co-evolve co-owned solutions to come out victorious through various pitfalls of business.